Usually, it’s the engaging content and a good marketing strategy that helps you grow your blog or website. But it demands lots of time, consistency and passion for creating quality content and promoting it in front of the right audience. In today’s world there is automation in almost every field of life, then why not for your blog? If you are looking to reduce the time and struggles that you have to put for your WordPress blog, then there’s a fantastic plugin for you – Nelio Content. Some time back we covered an extensive review featuring the working and key highlights of this intuitive plugin. 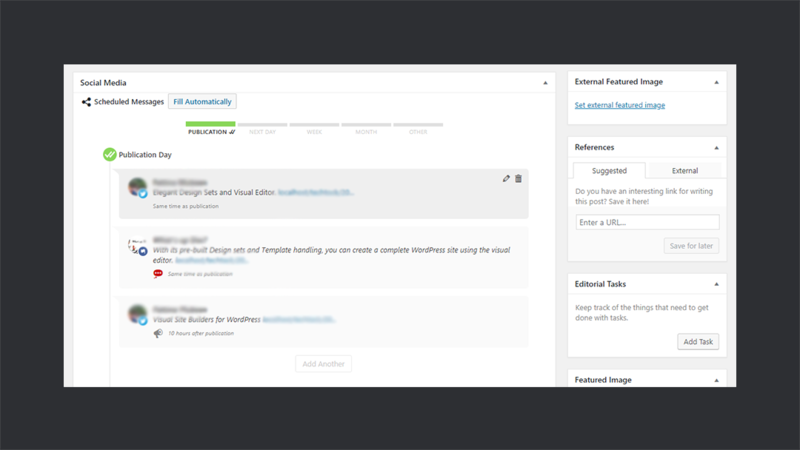 While toying around the product, we were truly amazed to see how they’ve put their social automation tools in practice. 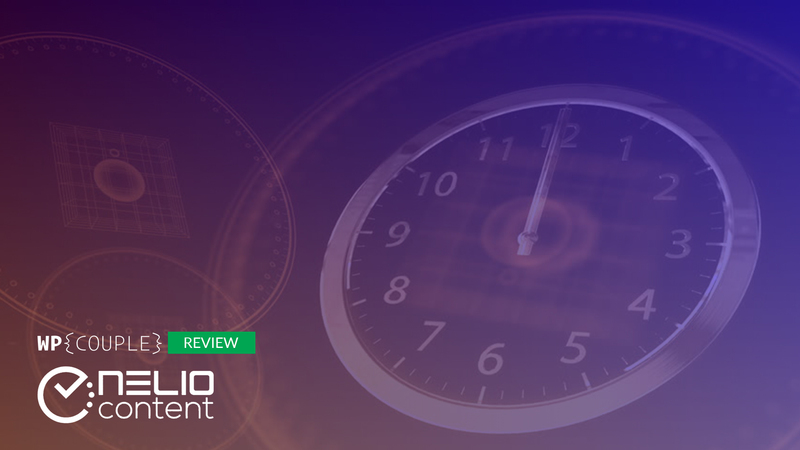 Since not everything could be covered in a single review so, we’ve decided to write this exclusive piece which narrates how the team at Nelio Content integrates social scheduling and automations. 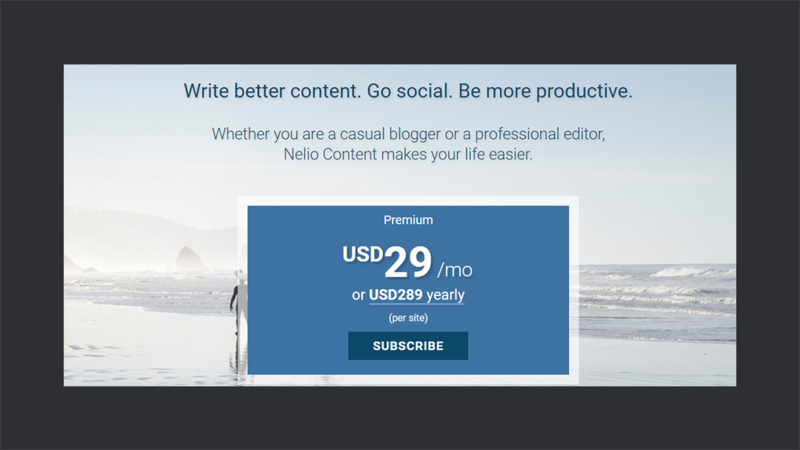 In this review, I’ll cover how the Social Automations and a bunch of other functionalities packed within Nelio Content revolutionizes your way of blogging. So let’s jump right into it! Nelio Content is a WordPress Plugin which assists and automates your blogging experience. 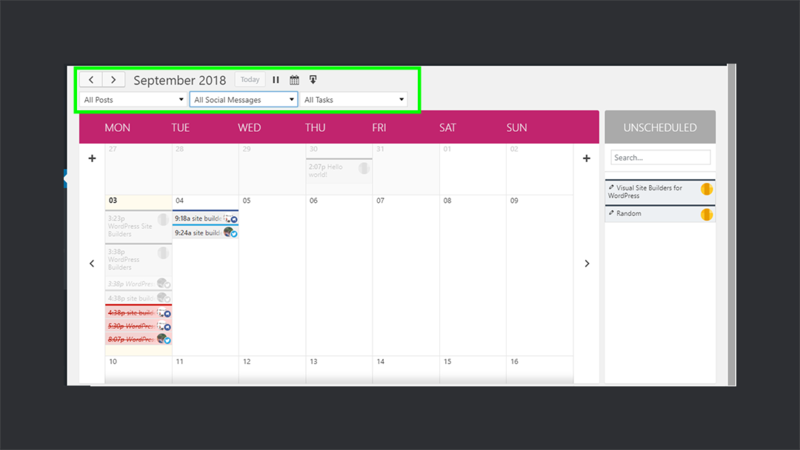 With its editorial calendar, you can efficiently manage all of your core blogging activities like marketing campaigns, editorial tasks, team management and much more. 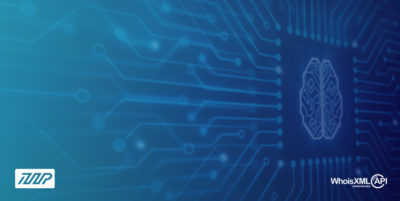 Nelio Software is a company comprising of highly passionate and talented team. Their main focus is to provide optimization and publishing solutions for WordPress. 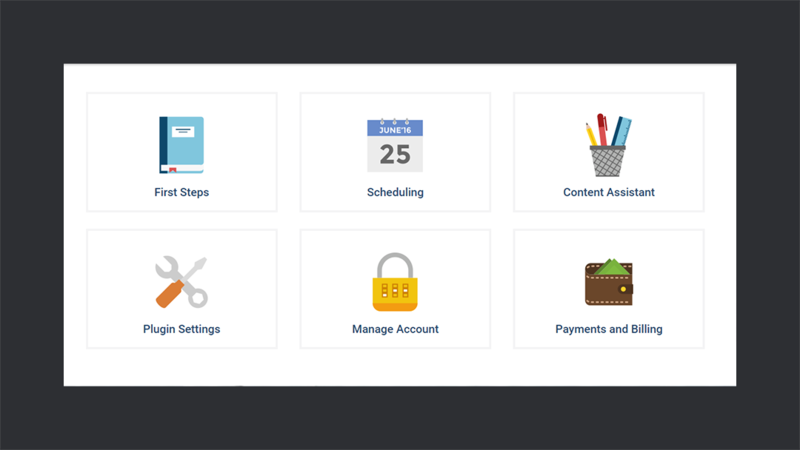 Nelio Content lets you handle all the stuff from WordPress without switching to any other tab. It means that you can also handle social media promotion right from your WordPress dashboard. Not only this but it also packed with some amazing Social Automation features. Once the Nelio Content is up and running at your site, there’s pretty much you can drive out of this plugin. Check out the previous Nelio Content review by WPCouple for the installation and activation guide. It also includes step by step guides for creating a social campaign and scheduling posts using this plugin. 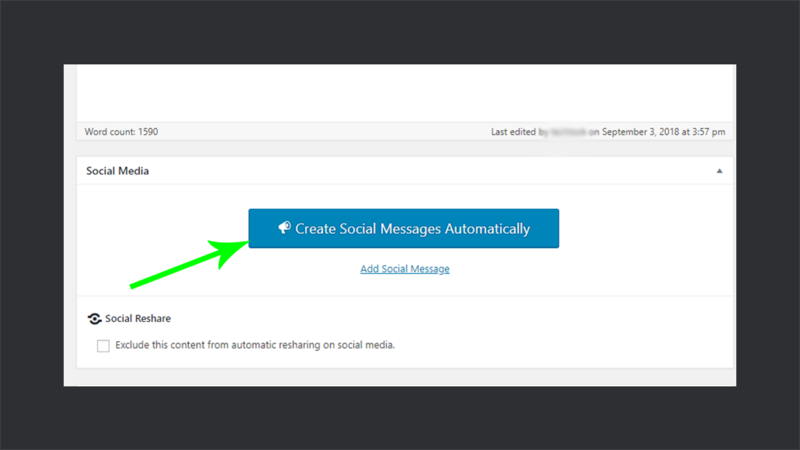 For now, let’s first look at the latest technology built in Nelio Content, i.e., Social Automations. It’s an add-on which makes social promotion a piece of cake for you! After the site content, it’s the social promotion which usually accounts for most of the traffic and growth. Keeping that in mind, the team behind Nelio Content has worked around and handles all the promotional stuff for you. And that’s what this add-on does! It reduces all of your time and efforts spent on social promotion to almost zero! With all this said, let’s see how it is done. 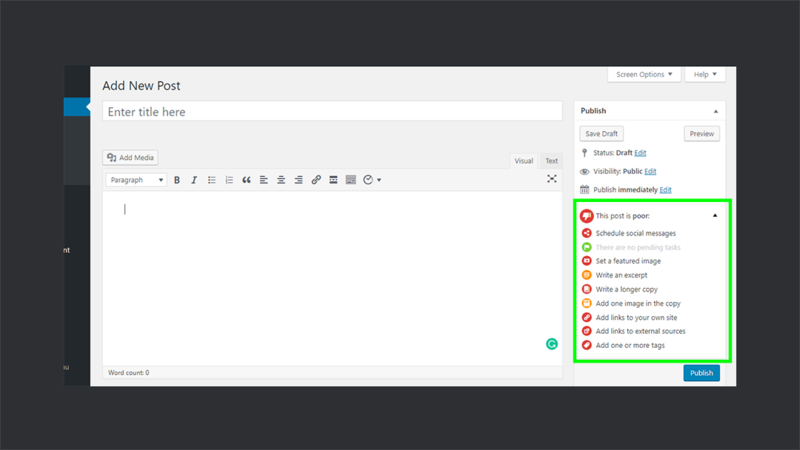 Nelio Content gives you the power to share content right from your WordPress dashboard to all of the connected social accounts. This saves your time which you need to switch from network to network for sharing your content. 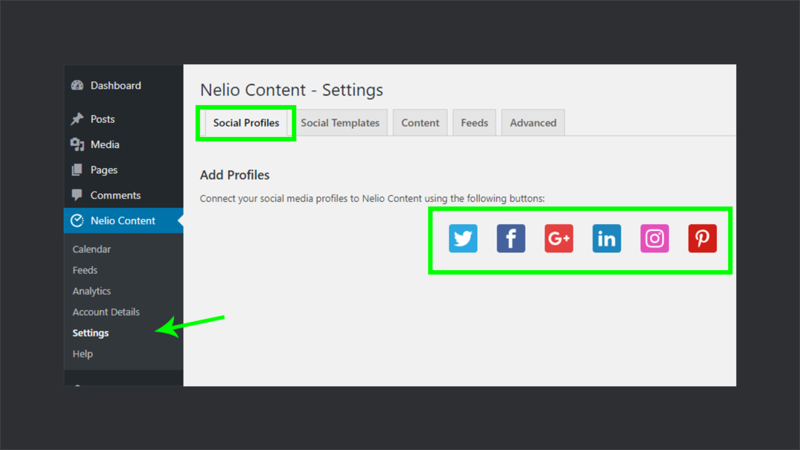 To connect your accounts, navigate to the Nelio Content > Settings. Now under the Social Profiles tab, you will find icons of all the social profiles which you can connect.  Click on the icon of the network that you want to connect. Follow along with the popped up window and authorize the app. All you have to do is focus on creating your post. Let’s create one to see how it works. Head over to your WordPress dashboard and navigate to the Posts > Add New. Enter the post title and content. Save the post and scroll down to the Social Media section. 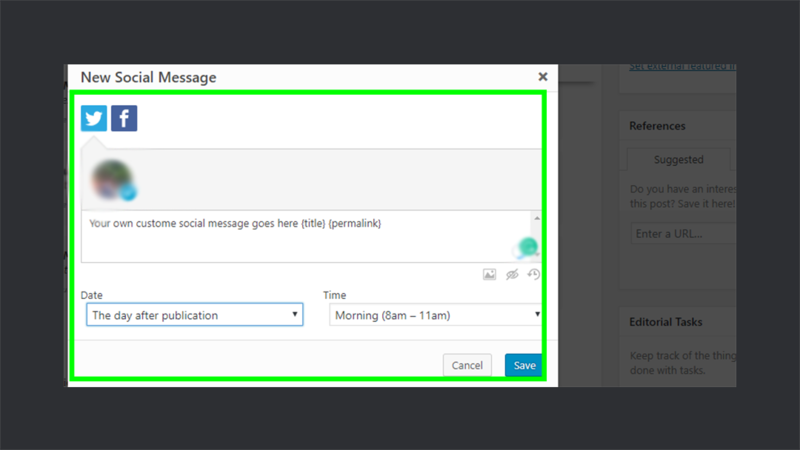 Hit the Create Social Messages Automatically button, and Nelio Content will automatically generate and schedule social messages for your connected social profiles. You will notice that an elegant timeline is also generated to help you keep track of these messages. You can also edit and delete any social message from the icons which appear when you hover over a social message. These messages are derived from your post’s content. What happens is that Nelio Content summarizes it and extracts the most relevant sentences. You can even add more social messages to your timeline by clicking Add Another button right at the bottom. 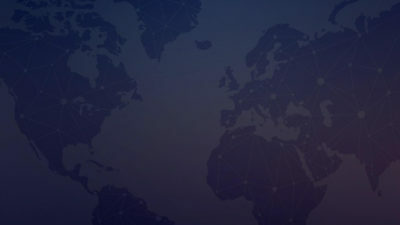 Right at the top, you will see icons of your connected networks. You can choose your social profiles from here. Next, you have to create your social message and schedule it by selecting a day and time for publishing. Finally hit the Save button. In this way, you can add as many social messages as you want. Sharing your blog content consistently on social media is a key factor in making it a huge success! No matter how frequently you create content for your blog, you should not miss a chance to reshare your old posts. According to HubSpot 75% of blog visits and 90% of leads result from old posts. Old is surely gold! Isn’t? Finding the golden posts of your site might be painful and time consuming for you! But Nelio Content automatically analyzes your posts and reshare it. This takes social automations to the next step! 🚥 Traffic acquisition: Most engaging your post is, more traffic it will have and more likely it is to be reshared! 📟 Age: It makes sure that your newly created posts get the attention it deserves. This means the newest posts will have more priority over the old posts while resharing. ✊Manual overwrites: If you have disabled the auto reshare option for some posts, then the algorithm will not consider them for reshare. 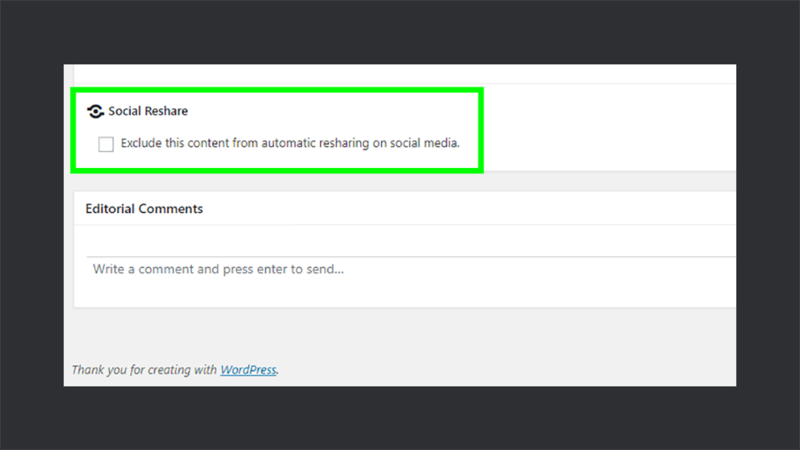 To disable the reshare option for a post, open it in WordPress editor and scroll down to the bottom. Here you will find a checkbox for this purpose. 🤖 Social Profiles: This tab allows you to configure your connected networks and to enable/disable the associated social automations. 🎨 Social Templates: Structure of the auto-generated social messages is defined here. You can add new templates or customize the existing ones. 📜 Content: It allows you to configure your content and its analytics. 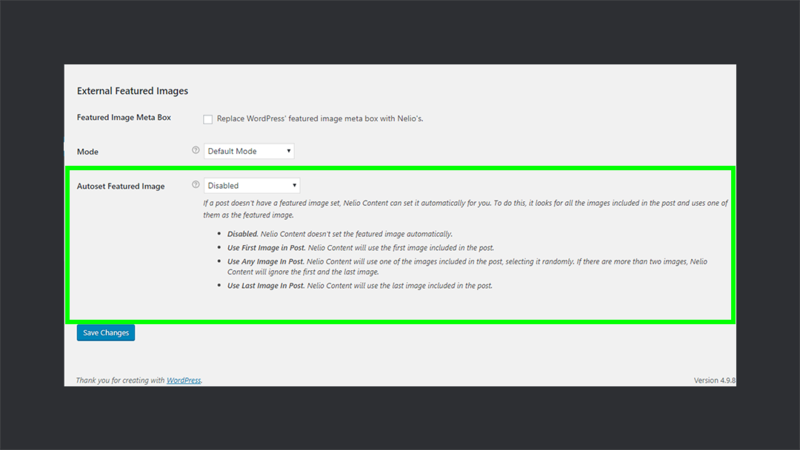 You can also enable/disable the Autoset Featured Image option from here. This option automatically adds the featured image to the posts for you. You might have an idea now that how Social Automations boost your content and make social promotion a breeze – real quick and pleasant! Nelio Content’s ability doesn’t end up here. It offers you much beyond these Social Automations. Let’s quickly go through them. Nelio Content is packed with a drag and drop editorial calendar. It gives you a neat and precise overview of your posts, social media messages, schedules, etc. You can quickly create schedules, reschedule them and create content from here. You can access it by navigating to the Nelio Content > Calendar. There are some cool filters located at the top that makes searching through the calendar easier. Post Analyzer within Nelio Content helps you to write properly formatted, interactive and fully structured content. It automatically analyzes your content and helps you to improve it by suggesting proper steps and measures. You can find it on the right side of your WordPress editor while creating or editing the posts. Nelio Content also streamlines the team workflow within WordPress. Its editorial comments, editorial task and ability to suggest references helps the team to collaborate in an enhanced way. 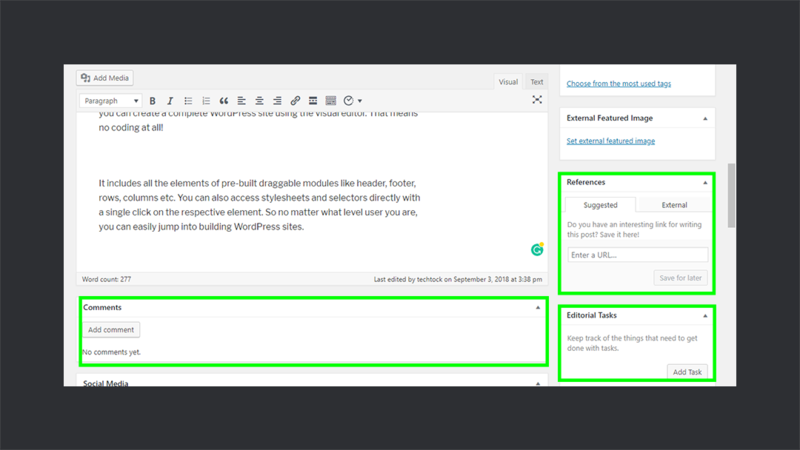 If you edit any post, then you can find sections for each of them in your WordPress editor. Nelio Content offers simple and affordable pricing of $29/ month for its premium version. This equates to $289/year. There is also a free version of Nelio Content available at WordPress repository. It rocks 7000+ active installations along with five stars rating. You can enjoy all the basic functionalities as that of the premium version with a limit of 1 social profile per network. It doesn’t include the auto reshare, social templates and team workflow features. Team Nelio Content has been kind enough to provide a 10% discount for the WPCouple readers. You can avail the discount using “WPCOUPLE 10% OFF” in any plan. Nelio Content comes with great documentation. It’s well designed and includes various sections to help you provide all the information you’ll be needing regarding this plugin. Another great thing is the active support of Nelio Content. 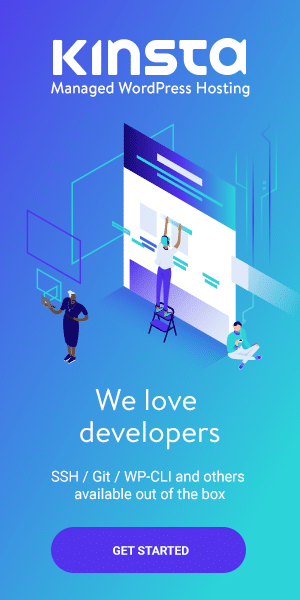 The team behind this is dedicated to keeping the best care of its users. So if you ever get any query or doubts regarding this plugin, feel free to contact the support. Nelio Content is an all-in-one editorial calendar for WordPress. It helps you not only to improve the quality of your content but also automates the content marketing. Its latest integration of Social Automations reduces the time and efforts spent on social promotion to almost none. With its editorial comments, task and suggested reference you can strengthen the workflow of your team. All this makes Nelio Content a must plugin for your WordPress blog! I think the team Nelio Content can improve its documentation of the product by adding some video tutorials. The YouTube channel includes only a couple of introductory videos for Nelio Content. I hope to see it growing as well.  Have you ever used Nelio Content or a similar plugin before? Or maybe planning to use one? In either case, share your experience with us by using the comment box below.